AWESOME WATERFRONT PROPERTY ON MAIN CREEK WHICH FLOWS TO LAKE HOLCOMBE. 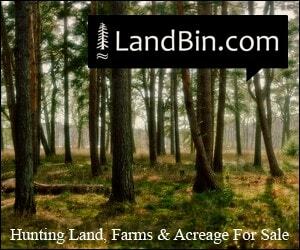 30 PRIVATE ACRES COULD BE USED TO BUILD YOUR DREAM HOME OR A VACATION CABIN WITH 1500' OF . . . COURTESY LISTING: ZURFLUH REALTY INC. WELCOME HOME! WOW THERE IS A REASON THAT THIS HOME HAS BEEN FEATURED IN NEWSPAPER ARTICLES! ABSOLUTELY STUNNING COMPLETELY CUSTOM BUILT WALK OUT RAMBLER NESTLED AT THE . . . EXCEPTIONAL HOME! 1.5 AC W/397' OF SW-FACING, SAND-BOTTOM FRTG! 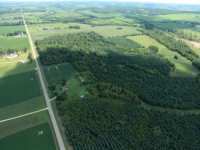 EXTRA .6-AC BUILDABLE LOT W/190' OF . . . 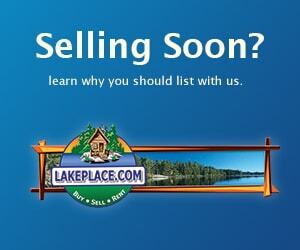 EXCEPTIONAL LAKE HOME ON SW-FACING, MISSIONARY PT. 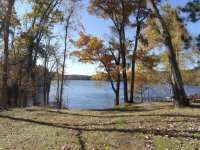 LOT WITH GIANT OAKS, LIGHTED DOCK AREA, HEATED . . . THIS PROPERTY HAS IT ALL. 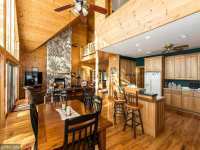 CHICOG CREEK MEANDERS THROUGH THE PROPERTY, CHALET STYLE HOME OVERLOOKS LARGE POND, PRIVATE LAKE THAT ONLY 2 PROPERTIES HAVE ACCESS TO AND . 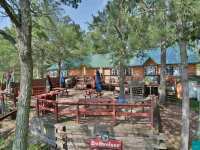 . .
BIG SPIDER LAKE � VINTAGE LOG FAMILY COMPOUND FEATURES A 5 BEDROOM, 3 BATH HOME DIVIDED INTO TWO SIDES, A FULL LOG BOAT HOUSE WITH SAUNA AT THE LAKE, A 2 BEDROOM LOG . 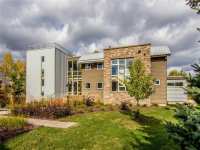 . .
EXECUTIVE HOME WITH UNPARALLELED VIEWS OF THE ST. CROIX &AMP; DOWNTOWN STILLWATER! GORGEOUS ATRIUM . . . EXCEPTIONAL NEWLY BUILT LAKE HOME ON LAKE WAPOGASSET LOCATED ONE HOUR FROM T.C. BEAUTIFULLY EXECUTED AS A SHINGLE STYLED CAPE COD COTTAGE. THIS WEEKEND RETREAT (OR YEAR . . . EXCEPTIONAL NEWLY BUILT LAKE HOME ON LAKE WAPOGASSET LOCATED ONE HOUR FROM T.C. BEAUTIFULLY . 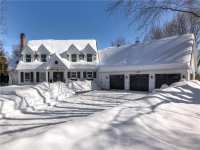 . .
SPIDER LAKE� THIS WELL CARED FOR, 4 BEDROOM, 2.5 BATHROOM HOME, BOASTS AN IMPRESSIVE FIREPLACE, MAIN LEVEL MASTER SUITE, GOURMET KITCHEN, WALK-IN PANTRY, FULL CUSTOM WET . 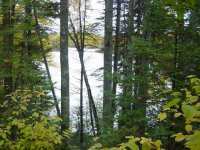 . .
BEAUTIFUL 175 ACRES SURROUNDED BY THE DNR, YMCA, LAKE WAPOGASSET LUTHERAN BIBLE CAMP AND THE BALSAM . . .
RARE &AMP; UNIQUE TIMELESS BRUCE LENZEN MASTERPIECE. EXECUTIVE HOME SITUATED ON A PRIVATE SANCTUARY . . . LUXURY LAKE LIVING IN THE NORTHWOODS. THIS DISTINCTIVELY DESIGNED HOME FEATURES CUSTOM CABINETRY, PLANTATION SHUTTERS AND BRAZILIAN TIGER WOOD FLOORS THROUGHOUT. NO . . .
MOVE INTO THIS LOVELY AND SPACIOUS HOME WITH 500' OF BEAUTIFUL FRONTAGE ON A JEWEL OF A LAKE IN THE BLUE DIAMOND LAKE AREA. THIS CHARMING ONE OWNER HOME FEATURES A 2 . . . EXCELLENT THRIVING BUSINESS...GRUZY'S ITALIAN BEEF HOUSE & PUB. PERFECT U-SHAPED BAR, EATING AREA, . . . EXCELLENT THRIVING BUSINESS...GRUZY'S ITALIAN BEEF HOUSE & PUB. PERFECT U SHAPED BAR, EATING AREA, . . . EXCELLENT THRIVING BUSINESS...GRUZY'S ITALIAN BEEF HOUSE &AMP; PUB. 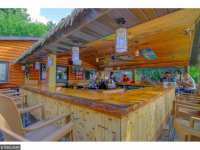 PERFECT U-SHAPED BAR, EATING AREA, HIGH &AMP; LOW TABLE SEATING FOR THE BAR, 2 LEVEL DECK . . . THIS PLEASANT CABIN IS ON A PENINSULA POINT ALLOWING FOR EXTREME PRIVACY. APPROXIMATELY 800 FEET OF . 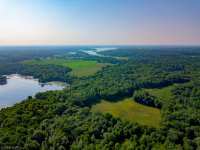 . .
ICONIC ST. CROIX RIVER PROPERTY SET AT BLUFF'S EDGE FOR REMARKABLE UP AND DOWN RIVER VIEWS WITH 300+ FT. OF SAND BEACH W/TRAM. HOME HAS BEEN COMPLELTELY RENOVATED W/NEW . 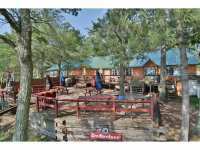 . .
TAVERN &AMP; RESORT LOCATED ON DESIRABLE BALSAM LAKE! INCLUDES BUSINESS FF&AMP;E AND ADORABLE CABIN . . . EXCEPTIONAL OPPORTUNITY TO OWN A CUSTOM CRAFTED HOME WITH OVER 1000 FEET OF TWIN LAKES FRONTAGE. . . .
NEW AUBURN, WIS: ONE IN A MILLION, THAT'S EXACTLY WHAT THIS INCREDIBLE PROPERTY IS! 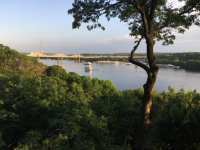 SITTING ON A 1.25 ACRE LOT, OVER 800 FT.OF SHORELINE &AMP; 180 DEGREE WATER VIEW, . . .
ONE IN A MILLION, THAT'S EXACTLY WHAT THIS INCREDIBLE PROPERTY IS! SITTING ON A 1.25 ACRE LOT, OVER . . . 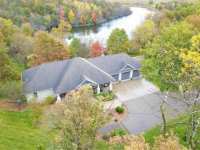 STUNNING LAKE ALTOONA HOME ON 7+ ACRES W/1200' OF LAKE FRONTAGE W/BEAUTIFUL VIEWS & SUNSETS! . 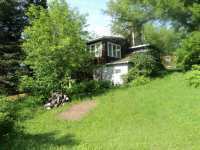 . .
GORGEOUS 2 STORY HOME ON LAKE WISSOTA TUCKED BACK WHERE THE LAKE AND CHIPPEWA RIVER MEET GREETS YOU . . .
SPACE, LUXURY, TRANQUILITY SUM UP THIS RARE OPPORTUNITY TO OWN A WELL ESTABLISHED, TURNKEY B&B. CURRENTLY ZONED COMMERCIAL, CAN CONSIDER AN OFFER CONTINGENT ON REZONING . . .
TRANQUILITY AWAITS! RARE OPPORTUNITY TO OWN A WELL ESTABLISHED, TURNKEY B&B FEATURING LUXURY AMENITIES. 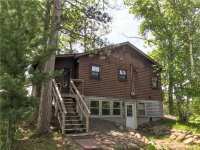 NESTLED IN THE NORTHWOODS, THIS PROPERTY SPANS NEARLY 14 ACRES & . . .
TRANQUILITY AWAITS! RARE OPPORTUNITY TO OWN A WELL ESTABLISHED, TURNKEY B&AMP;B FEATURING LUXURY AMENITIES. 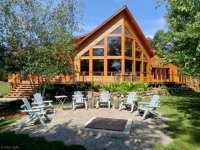 NESTLED IN THE NORTHWOODS, THIS PROPERTY SPANS NEARLY 14 . . . SPECTACULAR LUXURY LAKE HOME IN THE NORTHWOODS. THIS WELL THOUGHT OUT HOME HAS A GREAT OPEN FLOOR PLAN AND THREE DISTINCT LEVELS OF LIVING. WELL PLANNED WITH GREAT . . .
OVERLOOKING PEPIN HARBOR &AMP; LAKE PEPIN, ICONIC HARBOR VIEW CAFE' IS AVAILABLE FOR SALE! 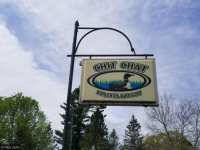 LOCATED IN PEPIN, WI., HARBOR VIEW CAFE', CRITICALLY-ACCLAIMED FOR GOURMET . . . 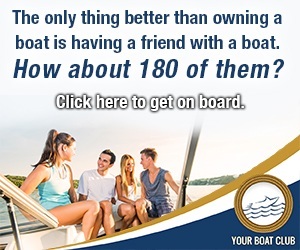 HERE IS YOUR CHANCE TO LIVE YOUR DREAM. "TURN KEY" BAR, GRILL &AMP; RESORT LOCATED ON FABULOUS LAKE . . .
ONE OF HAYWARD'S PRISTINE LAKES W/OVER 5000 ACRES OF WATER TO ROAM! COMPLETELY UPDATED HOME. MAKE . 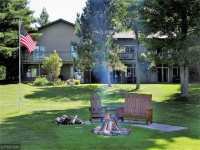 . .
FISHTRAP COVE RESORT - A GOOD OLD FASHIONED RESORT, TUCKED INTO A BEAUTIFULLY WOODED 50 ACRE SITE WITH APPROX. 1500' OF FRONTAGE ON LIGHTLY POPULATED FISHTRAP LAKE, . . . 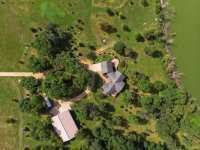 THIS MASTERFULLY DESIGNED 5 BEDROOM HOUSE SITS ON 1.45 ACRES ON LAND. PERFECT RESORT LIKE LIVING WITH LAKEFRONT, DOCK AND HOME THEATER. CUSTOM DESIGNED HOME BY ARCHITECT . . . INCREDIBLE LAKE RETREAT JUST OVER AN HOUR FROM THE TC METRO! CUSTOM BUILT ONE OWNER HOME WITH ONE . 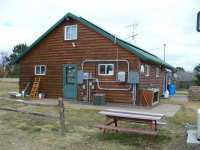 . .
MISSION LODGE ON HEMLOCK LAKE! 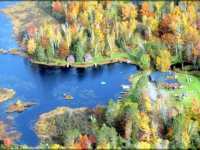 TIMELESS AMBIENCE CREATED ON ONE OF THE BEST PARCELS OF LAND ON THE 2500 ACRES OF THE RED CEDAR CHAIN OF LAKES. YOU CAN'T HELP BUT FALL IN . 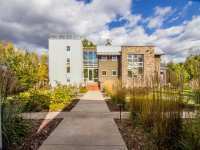 . .
FOR BUYER WHO IS SEEKING THE ULTIMATE RETREAT, ONLY TWO HOURS FROM TWIN CITIES OF MINNEAPOLIS/ST. . . .
FOR BUYER WHO IS SEEKING THE ULTIMATE RETREAT, ONLY TWO HOURS FROM TWIN CITIES OF MPLS/ST. PAUL. . . .
NESTLED IN THE WOODS &AMP; BACKED UP TO A 248 ACRE WILDLIFE AREA, THIS SPECTACULAR CRAFTSMAN STYLE W/O RANCH PROVIDES THAT NORTH WOODS FEEL YET IS ONLY MINUTES FROM . 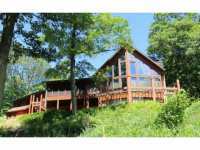 . .
BEAUTIFUL 120 ACRE PROPERTY WITH SPACIOUS HOME & TWO PRIVATE LAKES. THIS IS THE ULTIMATE UP NORTH . . .
YEAR ROUND MILLION DOLLAR SUNSETS! 2 OWNER HOME. 9' CEILING ON MAIN &AMP; LOWER LEVELS. BEAUTIFUL ROCK WOOD BURNING FIREPLACE IN LIVING ROOM. ENJOY THE SOUTHWEST LAKE . 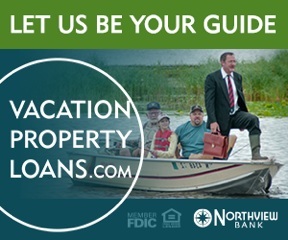 . .
4 Listings in Altoona WI ..
34 Listings in Balsam Lake WI ..
1 Listings in Cedar Lake WI ..
46 Listings in Chippewafalls WI ..
19 Listings in Conrath WI ..
1 Listings in Houlton WI ..
20 Listings in Hudson WI ..
5 Listings in New Auburn WI ..
2 Listings in Roberts WI ..